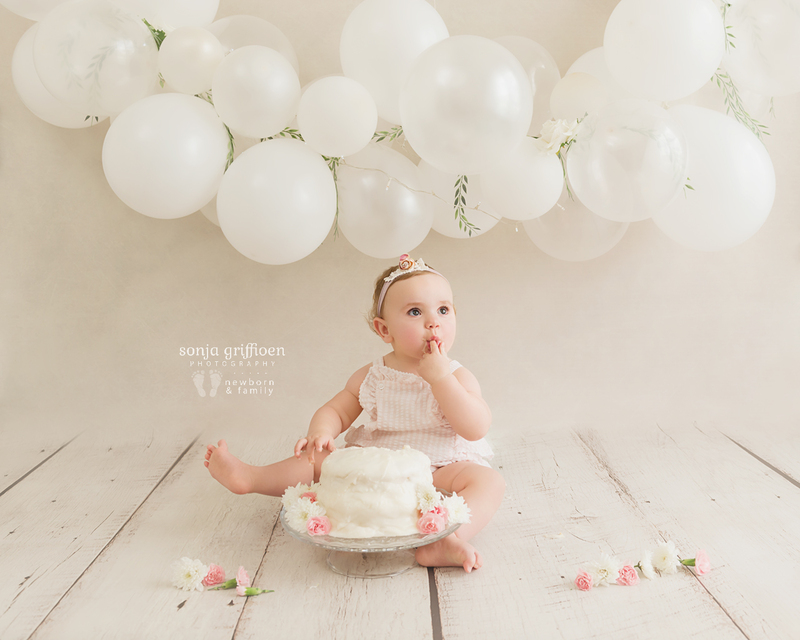 Vivienne came to me 1 year ago to have her newborn photos taken, and this time she was back to celebrate turning 1 with a cake smash session! 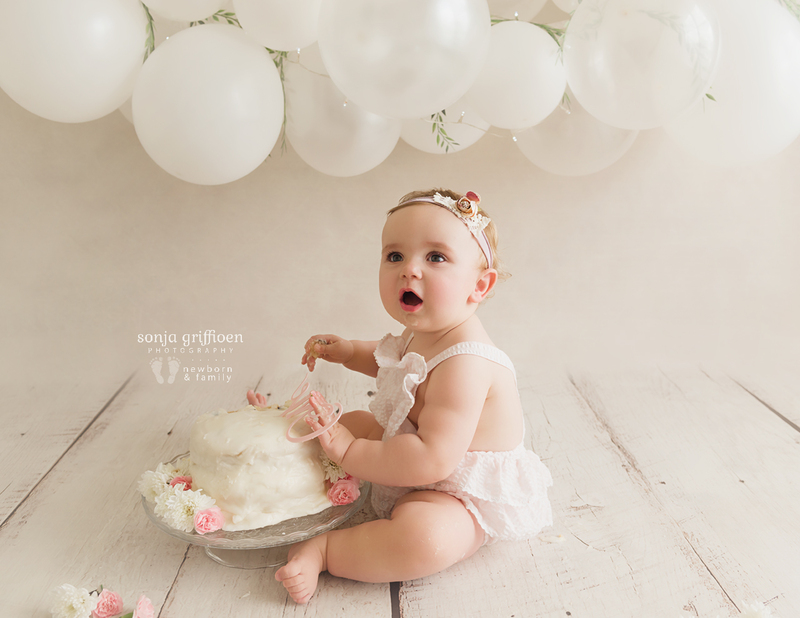 See her newborn session here. Little ones change so much in such a short time, it’s crazy seeing how much they change! 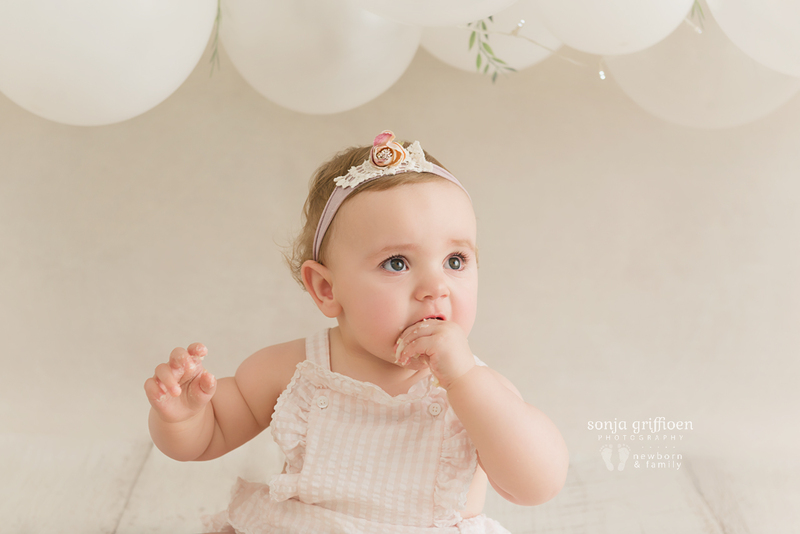 Yet at the same time, those same little features stand out – Vivienne’s little slightly-upturned nose, her fuller bottom lip, her facial proportions… And seeing little bits of her mum and dad come through more is priceless to see! Thank you Kristina and Tom for bringing Vivienne to me again. She was a lot of fun! 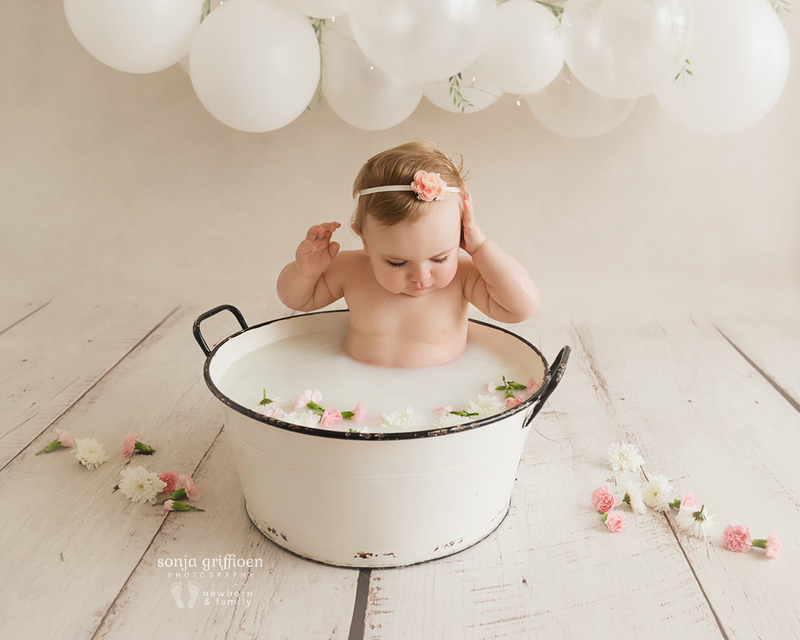 :) I hope you enjoy these photos as much as her newborn photos, and she enjoys them when she is older too! 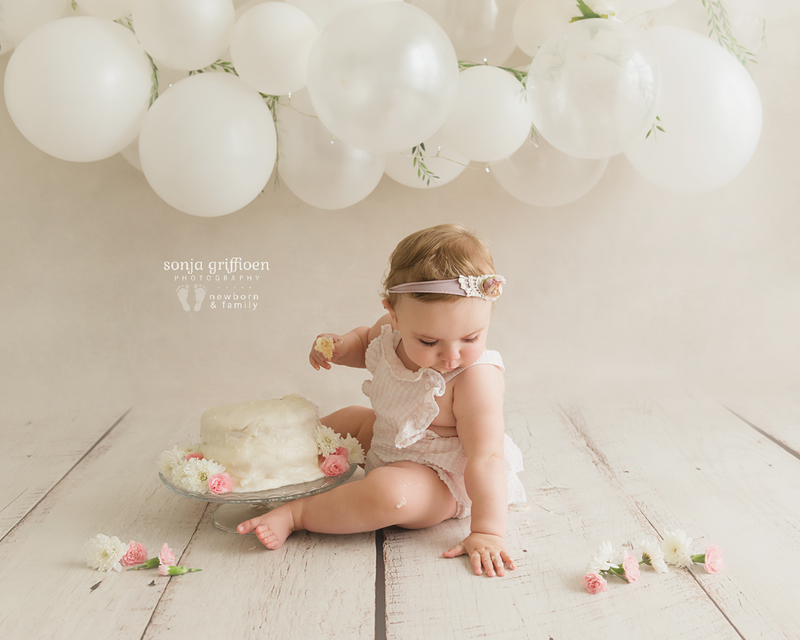 Cake smash sessions are still a fairly new trend, and very popular! 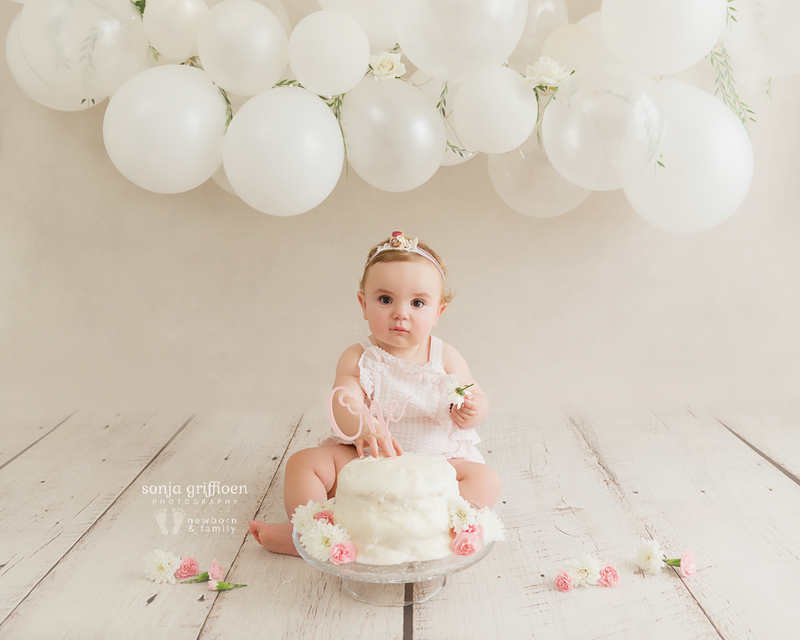 Seeing little ones interact with different tastes and textures is always fun to watch – the curiosity, the wonder on their faces, how careful some of them are and how others just dig in straight away… Capturing these memories of them as they reach big milestones is an honour and I get so excited seeing the session come together when my clients select their final images! 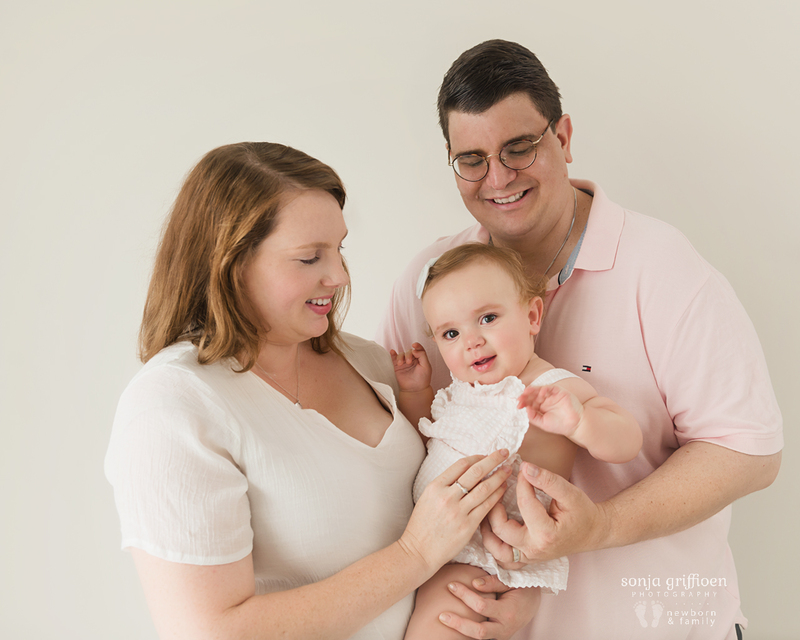 Having updated photos of your little ones tells such great stories as the years pass, stories that your kids will continually look back on and enjoy as they look through your photos. 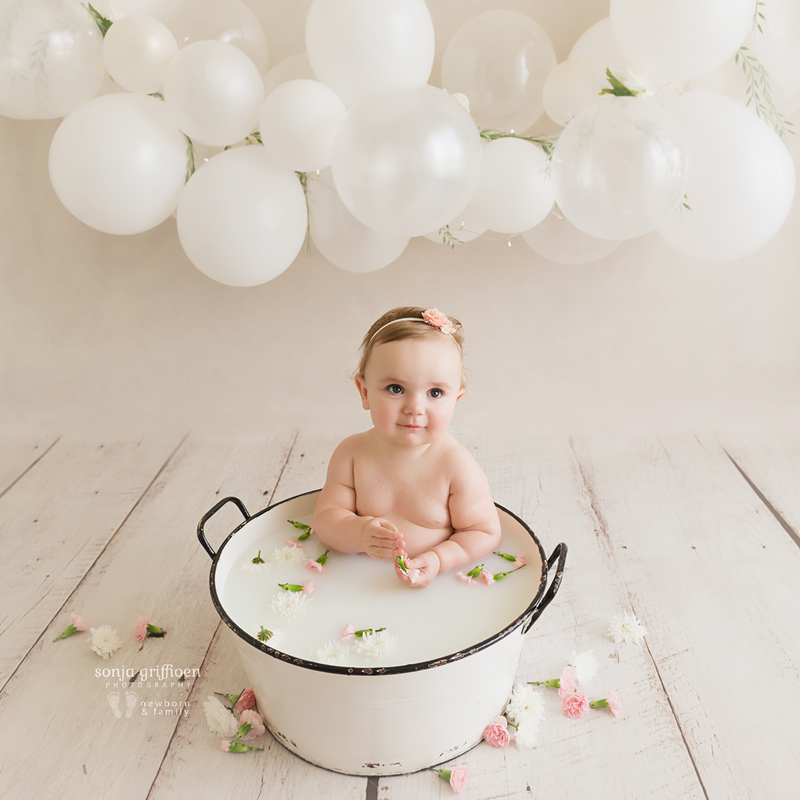 Newborn and baby photography is so much more than just photos. 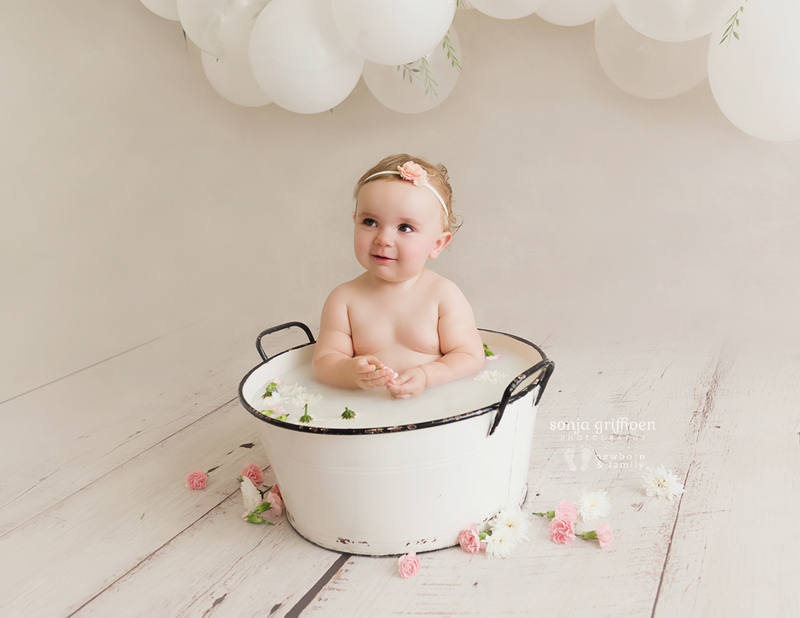 Baby milestone photos, when taken professionally, capture the essence of a baby’s growing personality. 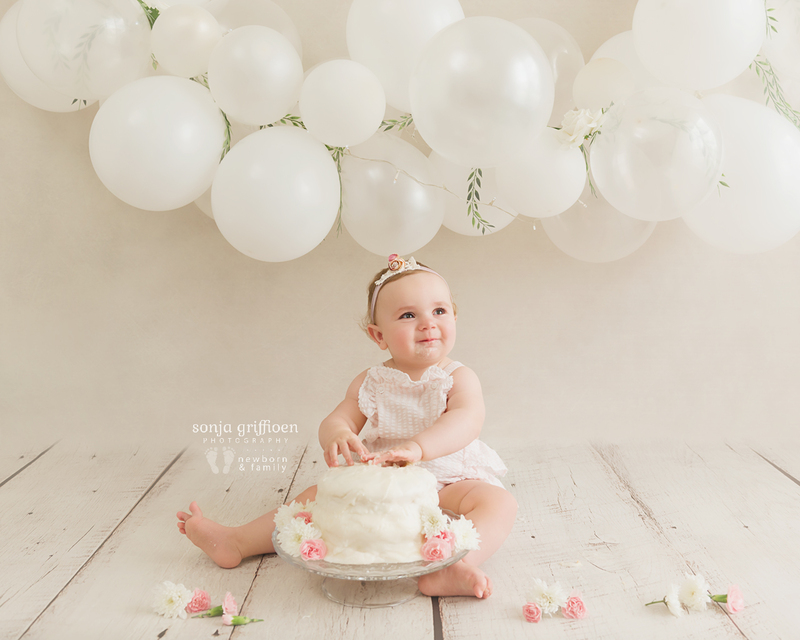 Their beautiful big eyes, little tucked chins, round squishy cheeks, little rolls… Photographing these little ones with every new milestone reached is such a beautiful way to make sure we don’t forget how they looked as they were first able to sit, push themselves up, and have those gorgeous interactions and expressions!